Whenever we see the SquadUP event ticketing and management platform used in new ways, we like to share, in the hopes that we can inspire similar event planners to take advantage in a similar way. Plenty of bars and clubs charge a cover and even more host events for occasions like New Year’s Eve and the Super Bowl. None of that is new. But we’re finally seeing these venues take advantage of online pre-sales to drive event awareness and increase revenue. Getting customers to buy their ticket in advance for your venue’s Super Bowl party is valuable for a few reasons. First off, they’re committed. Even if someone hears about your party a week before and comes to the conclusion that they’d like to attend, you still have a week to lose them. Maybe their friend has a different party in mind and convinces them to bail on yours. Maybe they simply get lazy on the day of the event and decide they’d prefer to stay home. When people buy a ticket, there is no turning back… at least without giving away their money. Once a guest has paid for and committed to an event, they become incentivized to make that event the best it can be. Since they’re not involved in the event planning, they can really only make the event better in one way: bring their friends. Of course they want to enjoy the event with as many people that they know and like as possible. With the highly social sharing features on our web platform and in both our iOS and Android mobile apps, your guests will also be your promoters. Another benefit to online pre-sale tickets is getting an accurate head count. It is easier to manage staff, entertainment, food, and drinks when you know how many guests will be attending. Without pre-sale tickets, your event could be empty or packed, but you won’t know for sure until it gets started. For an event planner, that’s a scary thought. The same event ticketing and management benefits that apply to that Super Bowl party, also apply to charging cover. Wouldn’t it be great to have customers committed to your bar or club for the night ahead of time? When friend groups inevitably have the “where should we go tonight?” conversation, anybody that is already committed to your venue will try to convince their friends to join them. We’ve seen a lot of college bars and clubs have success with this, getting social influencers to buy their event tickets and pay cover in advance, and then get their friends to do the same or join them and pay when they arrive. They’ve been able to steal business away from competing bars because they’re the only local venue that already has students committed before the night even starts. They’ve also begun to add perks to further incentivize students to pre-pay. For example, some venues offer the ability to skip the cover charge line or a cover charge discount for buying in advance. Students love feeling like their VIPs! 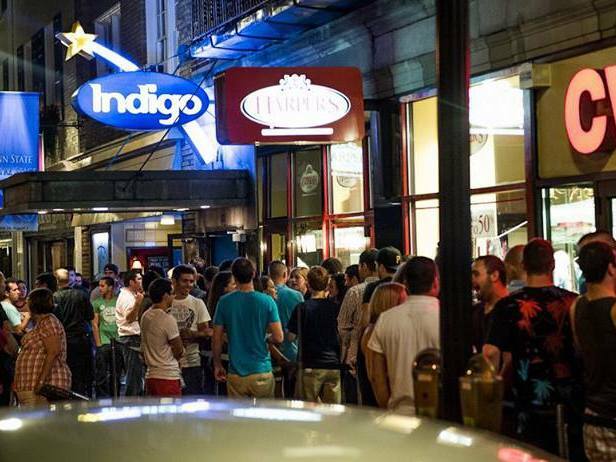 Venues that have included these perks, like Indigo, a popular Penn State club, have been successful. If you work with a bar or club, you can create your event on SquadUP now, or tweet @squadup to continue the conversation. It’s my first time to visit this site & I’m really surprised to see such impressive stuff! I’m writing to let you be aware of what a great experience my cousin’s child undergone checking yuor web blog. She came to find some pieces, including what it is like to have a great coaching heart to get most people effortlessly fully grasp a number of tortuous topics. You truly exceeded people’s expected results. Many thanks for providing such beneficial, dependable, educational and unique thoughts on your topic to Julie. I enjoy you because of all your work on this site. Debby take interest in managing investigations and it’s really simple to grasp why. We learn all about the compelling method you provide vital ideas by means of your web blog and therefore welcome contribution from other people on that article then my daughter is now discovering a lot of things. Take pleasure in the rest of the year. You’re doing a really great job.